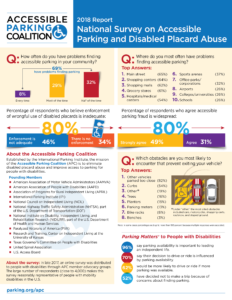 Infographic of findings from the 2018 Report on National Survey on Accessible Parking and Disabled Placard Abuse conducted by the Accessible Parking Coalition. 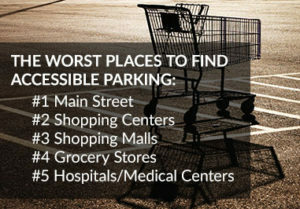 I wish we could snap a picture of illegal parked cars and forward them somewhere. I see a lot of expired hanging tags and no one checks if the person needing the tag is actually in the vehicle.